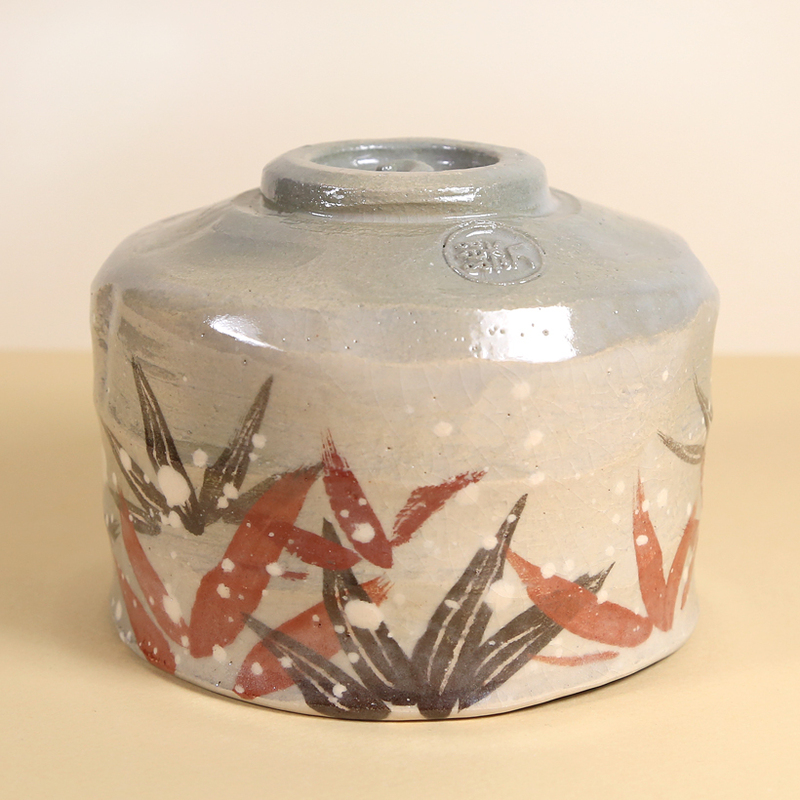 A charming winter motif tea bowl to brighten the dark days of winter. This scene depicts snow covered bamboo grass that appears seemingly oblivious to the weather around it. 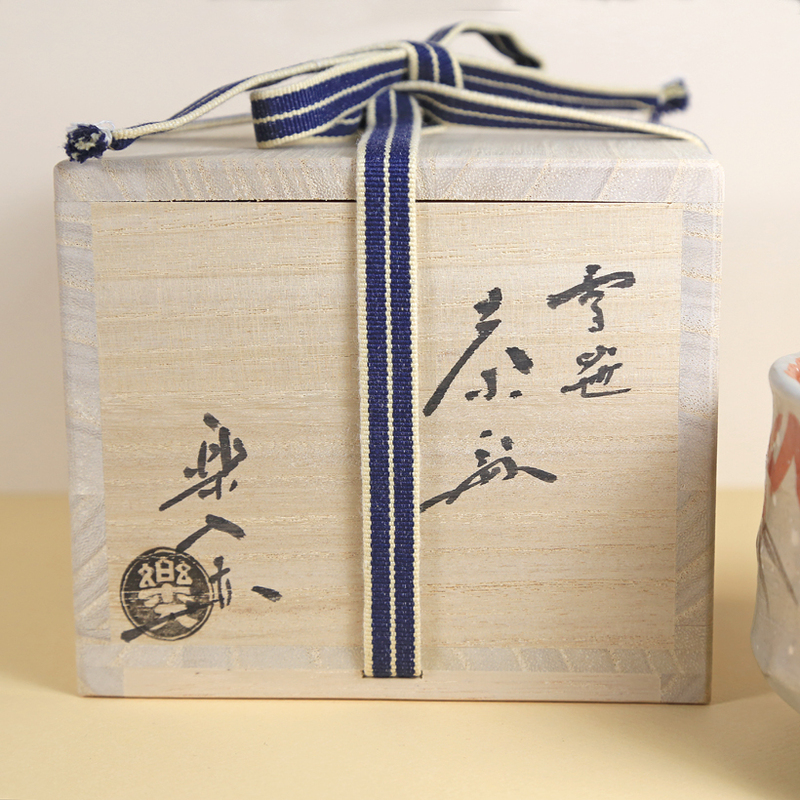 Perhaps this motif is a metaphor reminding us to always “make the best of it ” as it presents us with a contrasting situation to that of the tea drinker sipping from this tea bowl in the warm comforts of indoors ! The generous size of the tea bowl feels good in the hands as does the soft, warm feeling of the raku clay. 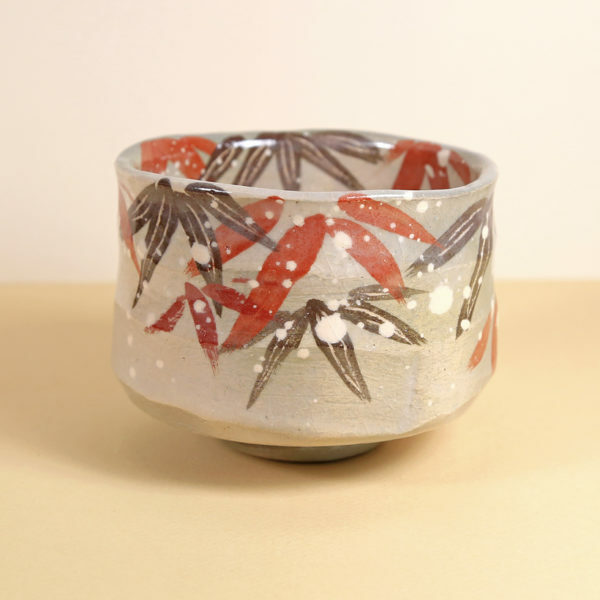 The tea bowl is light grey in color and features simple, natural orange-red and light-brown colors which stand in sharp contract to the more traditional somber black raku glaze.